Never Settle for Less! Our compassionate Savannah attorneys tackle the toughest nursing home cases. How Do I Know If My Loved One Is a Victim of Nursing Home Abuse? 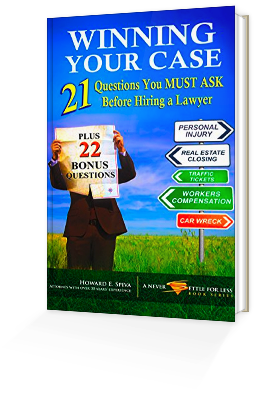 Why Should I Talk to a Nursing Home Abuse Attorney? Finding the right nursing home is far from easy. In fact, it can be downright scary. Tragic stories of elder abuse and neglect in Georgia nursing homes and assisted living facilities have made headlines in recent years. When the abuse happens to you or someone you love, the pain and horror are unimaginable. All nursing home residents have rights that are protected by state and federal laws. Unfortunately, some of these facilities violate the rules, either for financial gain or for reasons unknown. The result is that our most vulnerable citizens are subjected to inhumane treatment and exploitation. Even worse, it is widely believed that most cases of elder abuse go unreported. If you or a friend, parent or grandparent is the victim of abuse or neglect in a Georgia nursing home, contact the Savannah lawyers at the Spiva Law Group immediately. Our nursing home abuse attorneys can help you notify the appropriate authorities and take action to ensure there is a prompt response to your allegations. Our first priority is to ensure the safety and dignity of our clients. We will fight to make sure that the negligent facilities are held accountable for their actions (or inactions) so that the abuse never happens to you or other nursing home residents again. Our legal team has a track record of success, scoring numerous jury verdicts and settlements in excess of $1 million for our clients. We also pride ourselves on our compassionate care for injured people who need legal help, but also support from lawyers they can trust. Reach out to the nursing home abuse attorneys at the Spiva Law Group by calling us now. You can also contact us online to arrange a free consultation. We handle personal injury claims for people in Savannah, Chatham County and throughout Georgia. Nursing homes are regulated to protect the dignity, privacy and integrity of their residents. By law, every new resident should be provided a copy of their rights when they enter a facility. Non-discrimination based on age, gender, disability, sexual orientation, marital status, national origin, religion or source of payment. Privacy as long as it does not go against medical needs. Freedom of choice to do things such as vote, practice religion, abstain from religious observations, participate in any nursing home activities or decide who manages finances. Ethical care, treatment and services while living at the nursing home. Proper nutrition that is appropriate to the individual’s needs and abilities. That includes three meals per day with no more than a five-hour gap in between. Freedom from physical or chemical restraints unless medically necessary and explained in writing by a treating physician. Access to certain information regarding rates, administrators, statements of charges and facility policies. Nursing homes that breach their duty to care for residents may be held liable under Georgia’s personal injury laws. Depending on the source of the abuse, a medical malpractice claim might also be appropriate. Physical: Hitting, shoving, biting, unlawful restraint and deprivation leading to bodily harm are examples. Emotional: Humiliating, threatening, yelling, demeaning, ridiculing, or ignoring residents is another form of abuse. Sexual: This occurs whenever there is non-consensual sexual contact between a nursing home resident and someone else. Financial: This happens when another person accesses the victim’s money, credit cards and other assets for personal use. Neglect: The willful withholding of the medical, emotional and fundamental daily care that the resident needs. Self-neglect: In some cases of abuse, symptoms manifest when victims stop caring for themselves (ignoring basic hygiene needs, refusing food, withdrawing from activities that he or she enjoyed). It’s hard to get a firm number on how many elderly and vulnerable adults are abused in nursing homes and assisted living facilities each year. Some victims are physically unable to report the abuse. Others may be unaware that they are being victimized, particularly when it comes to financial exploitation. That’s not to mention the segment of the population who are too scared to report what is happening. If you have concerns about the way a facility is treating its residents, you have a variety of options. If someone is in immediate jeopardy, call 911 or the police right away. But unless there is a compelling reason not to, try going to the administrators first to lodge your complaint. In Georgia, nursing homes must respond within three days. 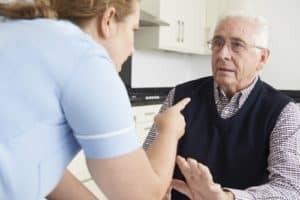 If they do not respond or fail to respond to your satisfaction, then you should report it to the state and contact a qualified nursing home abuse attorney. Georgia Adult Protective Services: Report elder abuse online or call (866) 552-4464. Georgia Long-Term Care Ombudsman: Call (866) 552-4464. Reporting abuse complaints to the state is crucial. But there are hundreds of nursing homes in Georgia, and despite the state’s efforts, response times to investigate claims are lagging. That’s where a nursing home abuse lawyer can help. We have the resources to respond quickly to allegations of abuse at your loved one’s facility and take steps to prevent critical evidence from disappearing before investigators show up. We can help you work with administrators to come to a prompt resolution to your claim. It is often in the facility’s best interest to reach a settlement, but if we must go to trial, the Spiva Law Group knows how to pursue the compensation you deserve in the courtroom. To find out if you have a claim, please call us or contact us online today. There is no charge for a case evaluation with our attorneys.